Nearly-sawed-off thumb, thumbs up, green thumb, not-so-green thumb, and rules of thumb. This month’s update definitely has a thumb theme, with a few other noteworthy tidbits thrown in for good measure. What’s up in the Shack? It all started with a nearly-sawed-off thumb. Shane’s thumb to be more precise. I’ll spare you the gory details. Let’s just say he was lucky. Eight stitches, and a month and a half of healing later, his thumb, though still numb and painful (which seems oxymoronic, no? ), is still his thumb. “It’s been a wake up call for him” has become my pat answer to questions about Shane’s thumb. Shane can tend to be a little too independent at times, saying things like “DIY stands for do it yourself!”, so having his left arm in a sling made him depend more on me (in the concrete part of our business) and on our son, who stepped it up a notch with chicken chores and kitchen duties. 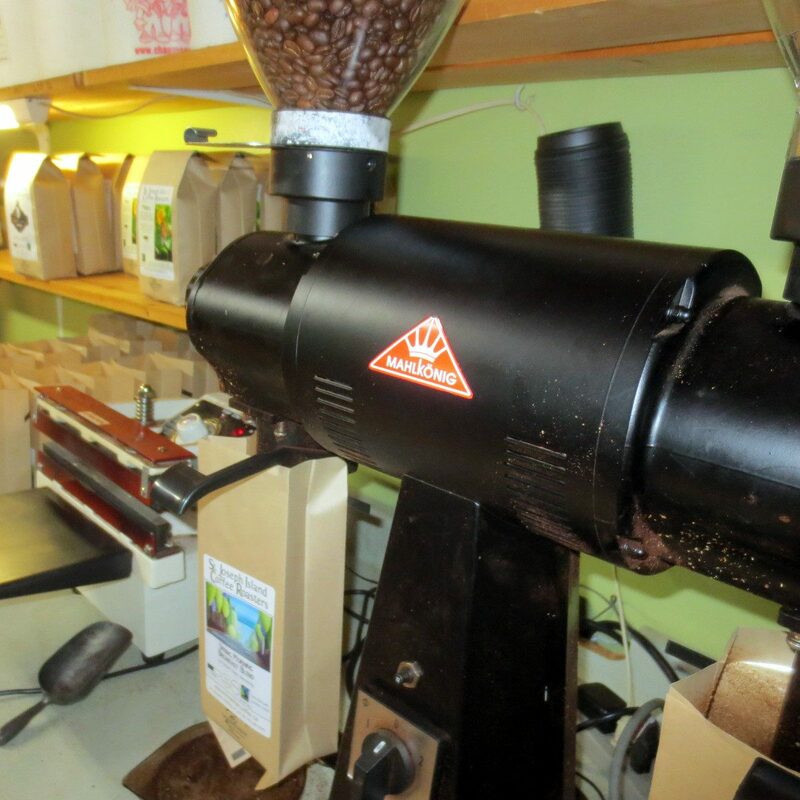 I haven’t spent a lot of time in the Roasting Shack over the last few years. This is partly because I’m allergic to both the dust from the green coffee and the coffee chaff (the “skin” that separates and releases from the bean as it expands during the roasting process) and partly because of a space issue (we’ll get to that topic another time). But guess what? We managed just fine. Thumbs up fine. I donned a mask and took an allergy pill and got to work. Sure we were kind of tripping over each other a bit, but it felt good to be out there again, packaging coffee, loading and unloading the roaster, feeling like I was more involved with the operational processes of our business. 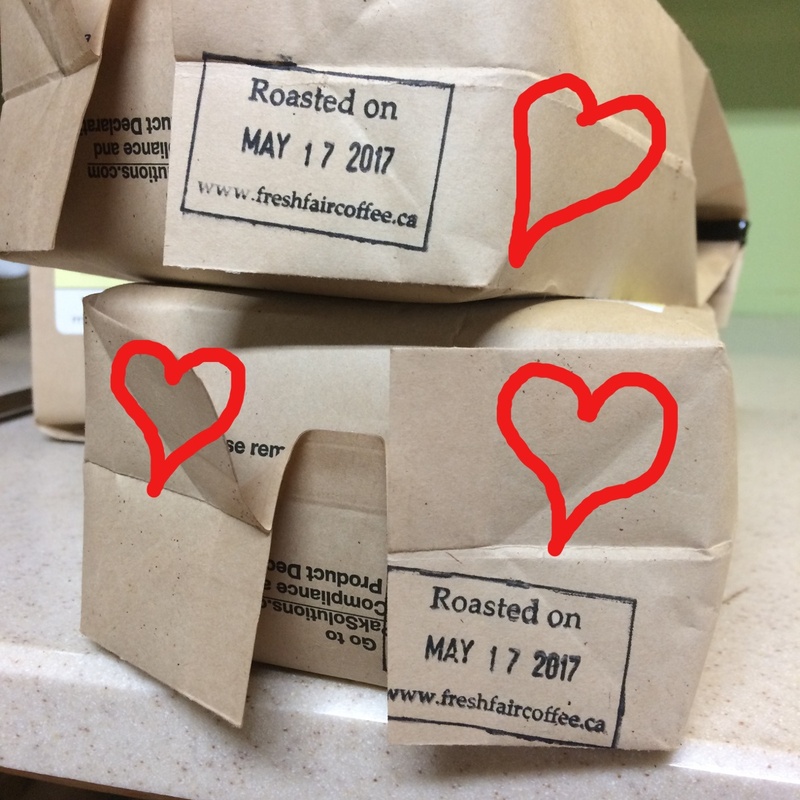 In April we started stamping the bottoms of our bags with a “roasted on” date stamp. Some of you have been asking about this, and it’s something we’ve been wanting to implement for a while now. 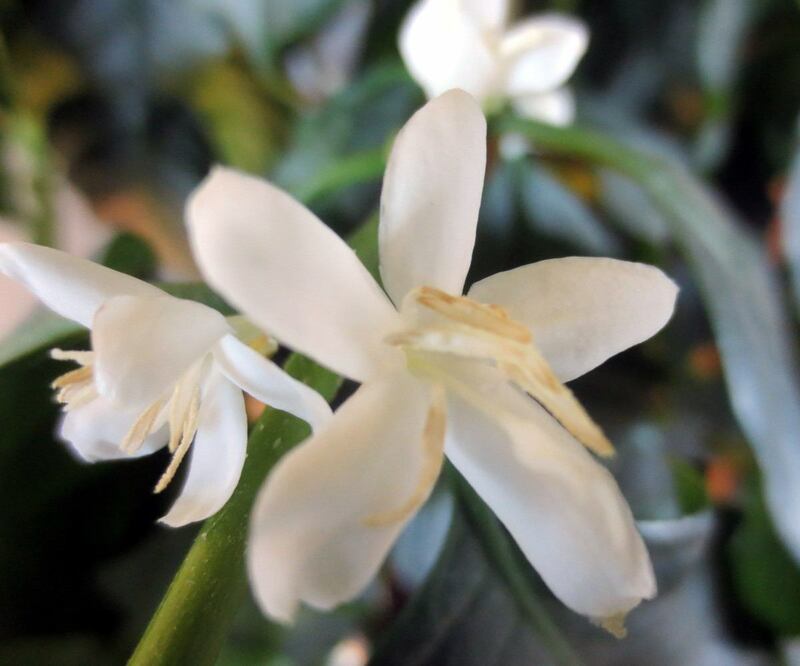 Our wholesale customers are excited because it will help them maintain a fresher stock of our product. 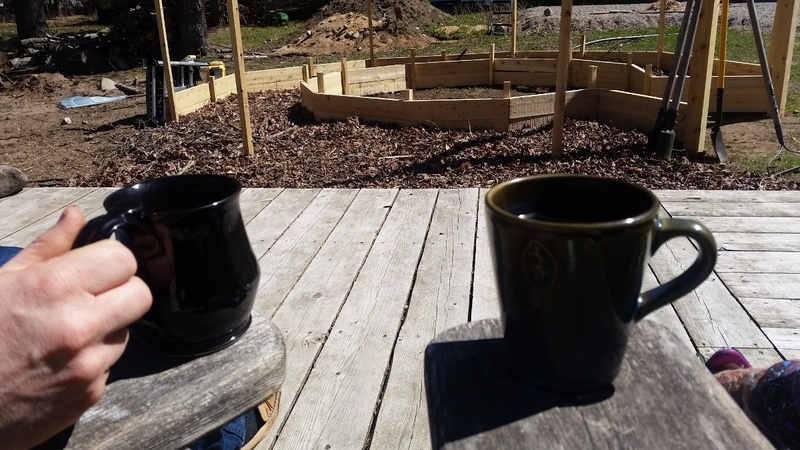 Plus when you order online, it feels good to see that your coffee was roasted just for you. 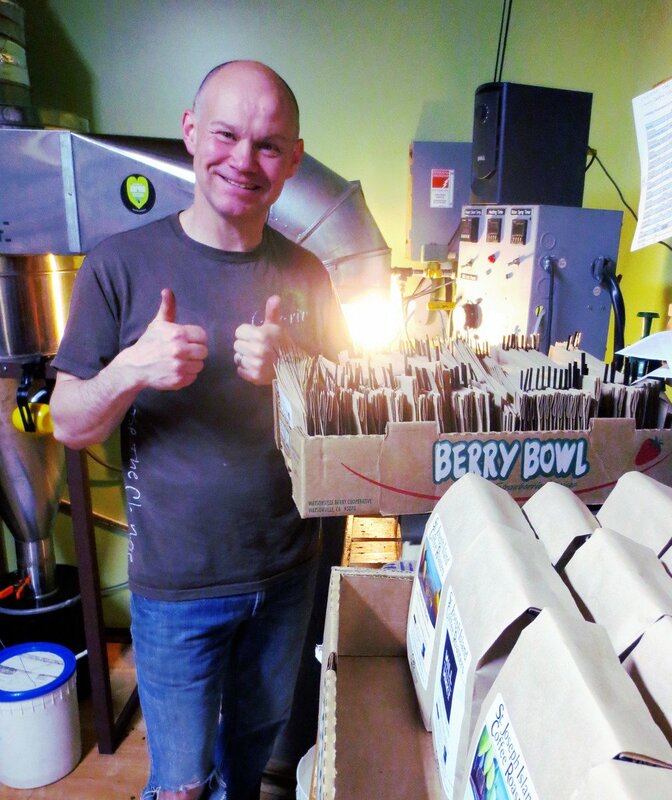 A couple months ago we switched our bulk bags over to the biodegradable side. Up until then we had been using black foil bags for our 2.2 kg (5 lb) orders. The biodegradable bags come from the same company that supplies us with our 454 g biodegradable bags: TekPak Solutions. 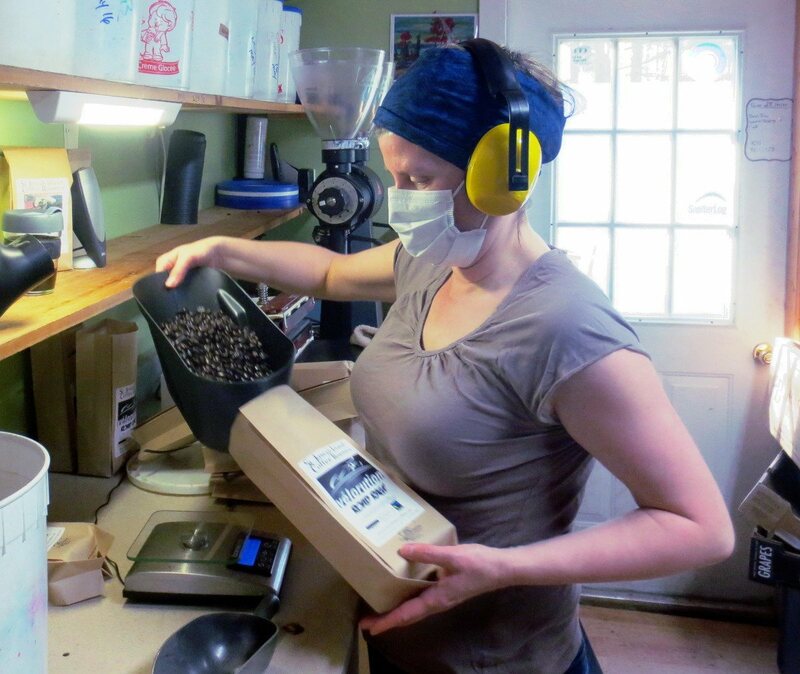 The other tidbit of information that I keep forgetting to mention is that last January our 454 g bags became even more earth friendly with omnidegradable one-way valves. Check out TekPak Solutions’ list of frequently asked questions. A haiku for you, inspired by our Mahlkonig grinder. Creates static, makes a mess. It hurts me. Shocks me. An interesting article on static and coffee grinding. Last October we applied for a commercial license to use the official Canada 150 logos. We were approved right away but we have been hemming and hawing about whether or not do do a special blend for the occasion. At the beginning of the month we decided we would do it and our limited edition Canada 150 blend is being released this week! It’s a medium roasted blend of our Mexican and Guatemalan coffees. We chose to use the multi-coloured logo and you can order online here. The Canada 150 logo is an evocative symbol and will become an enduring reminder of one of Canada’s proudest moments. The maple leaf motif is recognized at home and abroad as distinctively Canadian, and it fosters feelings of pride, unity and celebration. This unique design is simple enough to be drawn by children, and versatile enough to be used in a host of applications. The possible uses of the symbol are as unlimited as the spirit and imagination of the Canadian public. I know it’s already past the middle of May, but the WHOLE month of May is Fairtrade Month so it’s not too late to show your support. This is the biggest time of year where leaders, businesses, schools and many others band together to show their support of Fairtrade from the farmers to the products on the shelf. 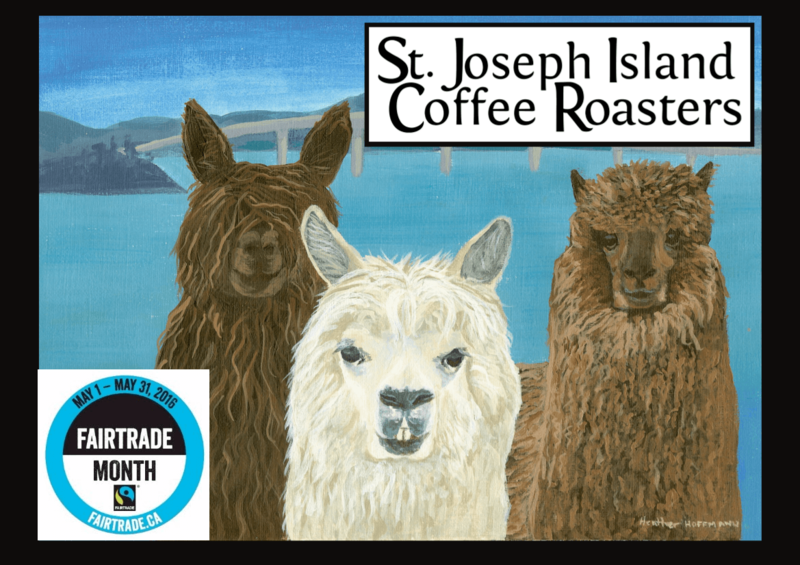 You can show your support of Fairtrade by purchasing a cup or even a pound of SJICR coffee. Here is a list of local businesses who support Fair Trade with products like our coffee, or you can buy directly from us. 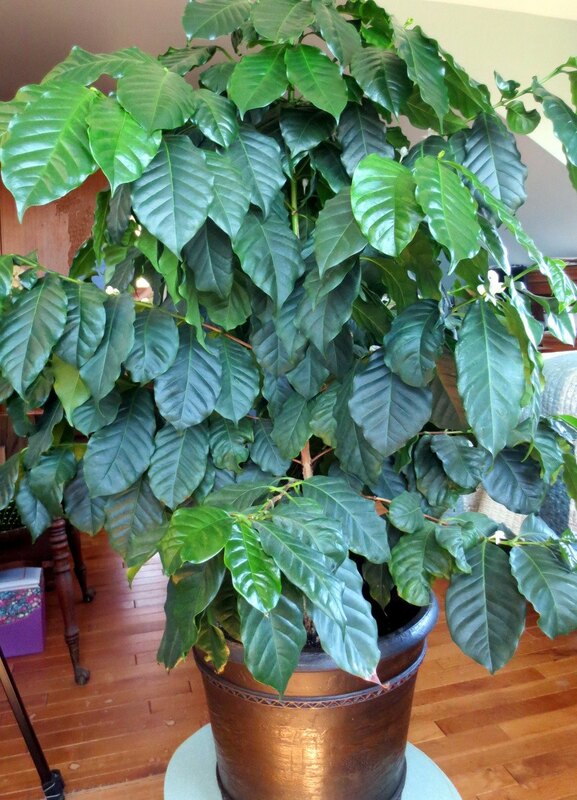 I wrote a couple years ago about some coffee trees we were gifted. Luckily I had the foresight to pay it forward and give a couple of them to our neighbourhood’s green thumb guru. 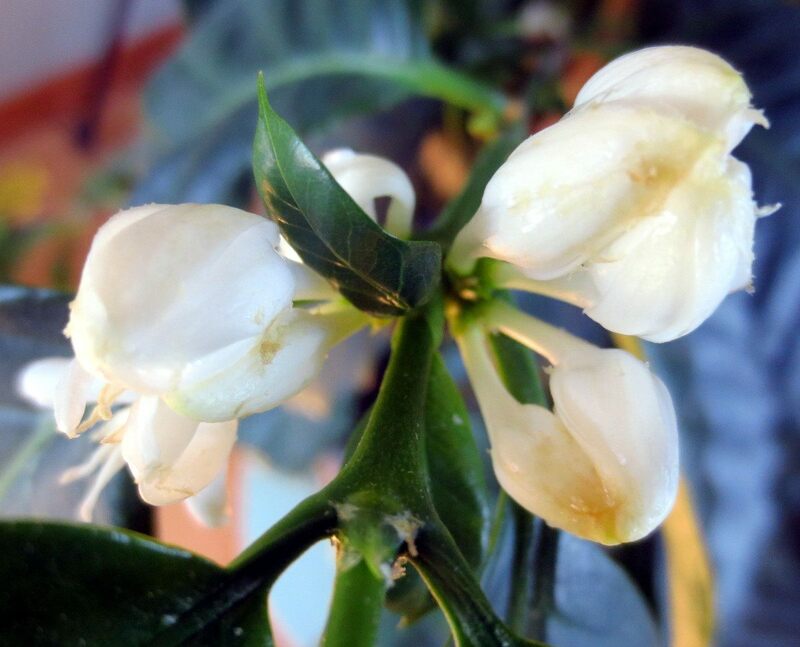 She called me to come over and see her coffee trees blooming. A little blurry, but so pretty. Here’s a bloom about to open . . . and the beautiful tree! 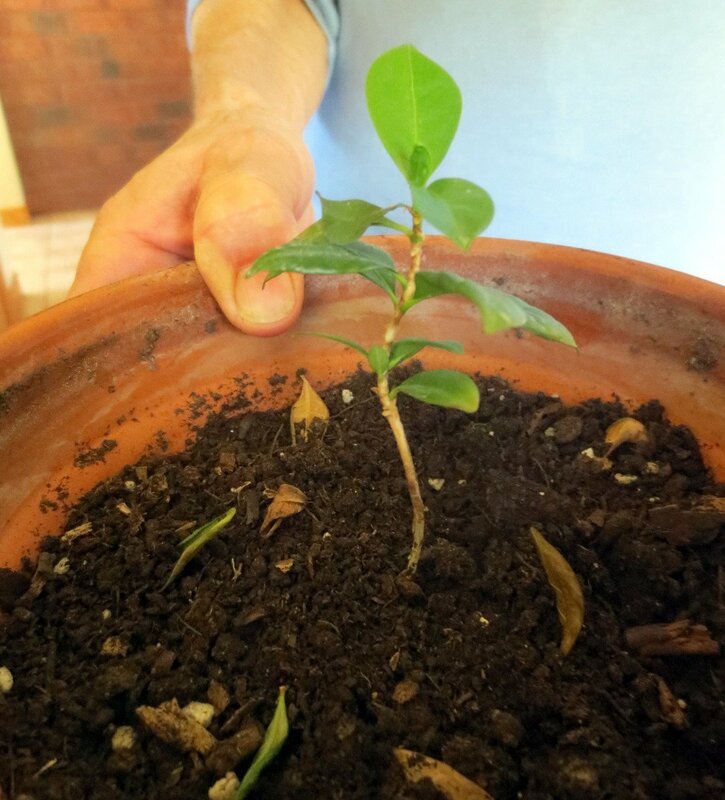 Four of our five coffee trees are still alive. We have one that has grown fairly significantly, but nothing like this. The medium tree has grown slightly, but is on its last legs and I’m debating getting rid of it. Our two small trees haven’t grown at all. They’re the same size this beautiful tree was when I gifted it to our lovely gardening guru three years ago. “What is your secret?”, I asked, holding my breath, waiting for a clue to unlock whatever it was that was holding our coffee trees back. “Oh, I don’t have a secret”, she said. “But there must be something you do. Is it the soil?”. I was grasping at straws. “Or maybe it’s because your house is warmer than ours. It’s closer to their natural climate”. “Isn’t it cute”, she said. I know it is going to a good home. And, I like to think my thumb is kind of green . . . although after my dad’s diagnosis with a terminal illness in March of last year (and his death in June) my interest in gardening seemed to disappear. Turns out when you lose a parent there is grief to get through. So last winter when I started thinking about gardening and researching ideas and getting excited, I new I must be feeling better. More on this to come but for now, a sneak peak. 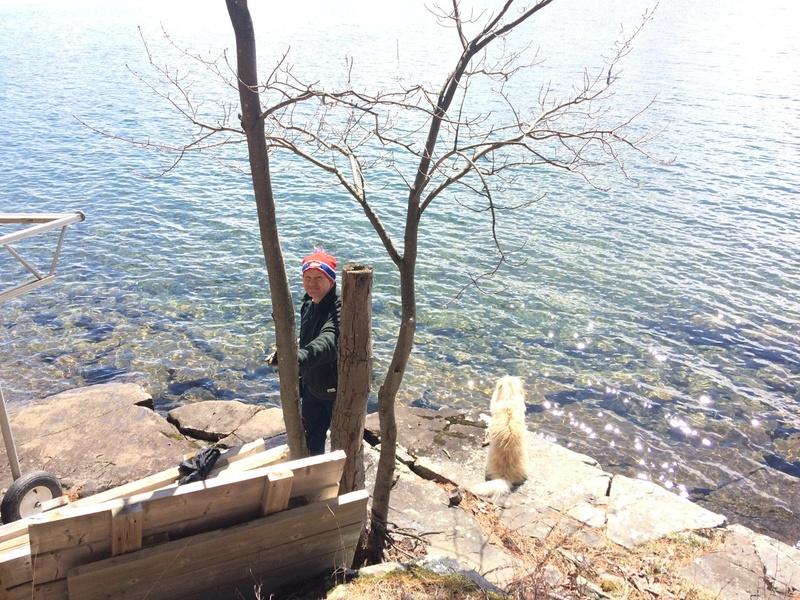 We purchased the cedar from Superior Sawmilling & Mfg in Sault Ste. Marie. The Pareto Principle, or the 80/20 rule, meaning roughly 80% of the effects come from 20% of the causes. Examples: You wear 20% of your clothes 80% of the time, you see 20% of your friends 80% of the time, or in business, roughly 80% of your sales come from 20% of your customers. And here’s an interesting fact: Perato (the Italian economist behind the rule) developed the principle after observing that 80% of the peas in his garden came from 20% of the pea pods. Keep it simple silly (KISS). Go with the flow (i.e. don’t force it). You can only eat an elephant one bite at a time. Rely on your senses to roast coffee: sight, sound, smell, taste, and the feeling you get when you drink it. You will expand or contract to fit your space. Similarly: Work expands so as to fill the time available for its completion (i.e. Parkinson’s Law and that famous article from 1955). Touch the base of the grinder before turning it on to avoid getting a shock. Consciously turn off your “catching reflex” before operating a table saw. And wear gloves, too. Wow, what a story about thumb injury! I am glad Shane kept the thumb! Heather, wow, you did have such a workload and you did manage everything fantastic! Love your newsletter and stories, keep doing what you are doing it, you are doing it in a beautiful way! PS. Shane is looking very much like he could be a brother to Sandy!